The last few months before Thanksgiving tend to always be packed with high-profile product announcements (for obvious reasons), but this October has been special, as almost every single major tech company out there craved a place in the spotlight with something new. 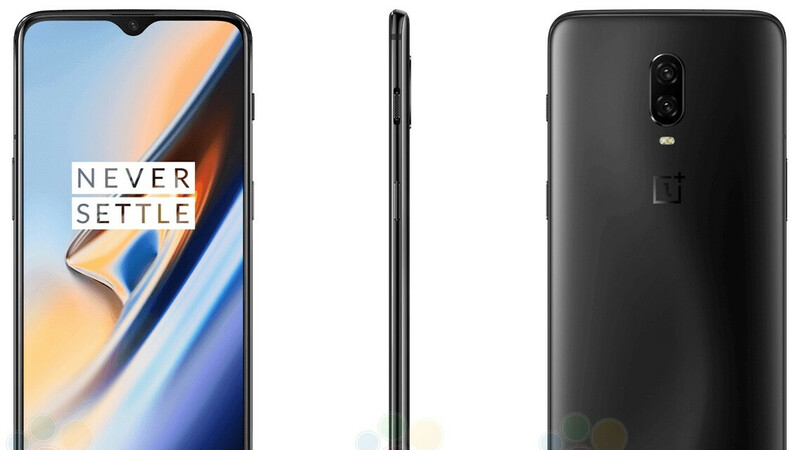 It was pretty much inevitable that two companies would schedule events for the same day, and although it’s certainly not unusual for something like that to happen during a big trade show like CES, MWC, or even IFA, OnePlus was “dealt a pretty bad hand”, as the smartphone manufacturer itself acknowledged, when Apple announced an October 30 keynote. The Cupertino-based tech giant has more devices “in the making”, and even though these will definitely not compete directly against the OnePlus 6T, they’ll surely get a lot of attention. So much attention that OnePlus decided it was wise just to move out of Apple’s way. The other October 30 event is now booked for an earlier October 29 spot (yup, this coming Monday), which many considered a sign of weakness on OnePlus’s part. Where’s that fearless company aiming to kill flagships with unconventional marketing, a unique business model, and unbeatable value for money? Well, if you ask this writer, it’s still there. Let me explain. Remember how we laughed when Apple called its controversial decision to get rid of the headphone jack “courageous?” Just to get this out of the way really quickly, the absence of the beloved 3.5 mm audio port from the OnePlus 6T is unfortunate, to say the least. It’s definitely not courageous, it’s also not very smart or user-friendly, but that’s a discussion for another time. Right now, let’s focus on the company’s courage (and inspiration) to make the right call under pressure. Or how about the courage to accept and admit one’s limits? Shooting for the stars is nice, but blind ambition doesn’t pay the bills. When you’re relying almost exclusively on a single product for two quarterly reports, and said product most likely generates modest profit margins, you can’t afford to gamble away your best opportunity to score some free publicity. Strong word of mouth is essential for a company like OnePlus, which probably has a yearly marketing budget comparable to the money Apple spends on a couple of star-studded Siri ads. At the end of the day, it’s important not to confuse courage with foolishness. Yes, it would have been foolish to take on Apple’s well-oiled buzz-building machine. Not because the OnePlus 6T isn’t going to be good enough to outshine an oft-rumored pair of new iPad Pros. Clearly, the target audiences are radically different. One device is a (costly) tablet, while the other is a (relatively) inexpensive high-end Android handset. You don't want to compete with a slim-bezeled iPad Pro. You just don't. But it’s not about that. This impossible decision that OnePlus made is about respect and knowing one’s place in a crazy competitive, increasingly crowded industry. Apparently, our audience here at PhoneArena is more interested in the OnePlus 6T launch. That’s great news for the 2013-founded company, but after developing somewhat of a cult online following, OnePlus needs to take the business to the next level. For that, people outside the tech blog-reading community will have to start paying attention. We’re talking precisely those people that continue to buy iPads, despite the free fall of the overall tablet market. People who may not afford or even want to purchase unlocked Android phones straight from their little-known manufacturers. Folks in the US whose curiosity is only piqued when seeing swanky mobile devices in carrier stores. Perhaps the targets are not that different after all, eh? When does a startup stop being a startup? More importantly, when does a startup stop behaving like one? For OnePlus, the moment of truth could be right around the corner. After flourishing in key global markets like India, the company is reportedly just about ready to pursue its American dream... in a big way. The OnePlus 3 was a flagship killer. The 6T will be a flagship. Period. Make no mistake, it’s a huge deal to get T-Mobile to sell your phone in its stores, and possibly an even greater feat to obtain Verizon’s technical approval for activations on the nation’s largest wireless network of handsets sold unlocked. This may well be the beginning of a beautiful friendship, and next year’s 5G-enabled OnePlus 7 could be subsidized by Big Red. The sky is truly the limit to the company’s ambitions now, but only if the 6T is a hit. Mind you, T-Mobile promotion and Verizon support don’t guarantee that will be the case, not to mention both those things are still unconfirmed rumors. Remember that earlier postponed discussion about the jack’s removal? The time has come to expand on it. The key question, as always, is whether or not you should buy this thing. No jack is definitely something to consider in the weakness category, but there are a lot of other things to think about before deciding one way or the other. For instance, it’s hard not to dig the “waterdrop” notch. The in-display fingerprint sensor is also pretty cool, even if it’s not the world’s fastest or most reliable biometric solution. Meanwhile, prices might be rising, but it’s still physically impossible to find a better, similarly affordable phone. OnePlus has gone through some difficult times since its December 2013 inception, surviving all the inconveniences caused by the awful invite system of its early days, several security and privacy scandals, dreadful reviews for its second “flagship killer”, a number of advertising mishaps, and the public’s general fear of Chinese tech companies. Perhaps “survival” is not the right word. No, the company has thrived in tough times, knowing how to listen to an ever-growing audience. Rescheduling the 6T launch proves yet again the customers’ wishes are important, suggesting this ambitious startup that’s getting ready to shed that startup image will never become disconnected from its fanbase. Not anytime soon, at least. Hopefully, OnePlus will not be too over ambitious beyond their means and capabilities like LeEco. Or they will end up like them. No they are part of BBK Electronic Group.... World's 2nd largest Smartphone manufracture. Bbk is a group. So it's unfair and wrong to compare them to any single company. When will u learn? BBK Electronics OWNS OnePlus, OPPO, and Vivo. So it’s not unfair to compare them to any company, as they are a company as well that sells, manufacturers, etc smartphones under different brand names. When will you learn? I knew u would reply to me. Anyways, if it's unfair since they are made up pf a bunch of different companies. If bbk was a solo company and didn't have 3 separate companies as part of it, then only would it have been wise to compare bbk to samsung or huawei, etc. I think u and papa ji (the infamous troll) need to learn a few things. Lol, no you didn’t. Stop it with the lies already. It’s not unfair because they are all owned by BBK Electronics. Just because YOU think it’s unfair, doesn’t make it so. Stop trying to change the facts to suit your false narrative. It’s ONE company that sells products under multi brand names. Get over it. You’ve become as famous a troll as papa_ji has, attacking anyone that posts something that you don’t agree with. It’s no wonder you’ve become fast friends with multi-account trolls here. You need to learn a few things, one of which being that just because you don’t think a certain thing is fair, doesn’t make it a fact. If you think I am a troll, then you clearly don't know much about me. Ask darkjedii, kiko, plasticsh1t, notofanboys, and some other respectable guys if they also agree with you. The fact you think I am an apple fanboy solely based on my profile pic shows whose the one with any brains here. I don't even know why I try to argue with you..... you're hopeless! I can tell you the same thing, and to ask the same people that you mentioned, and they will tell you that I’m not a person to be associated with papa_ji or any other troll here, because I’m not one. The fact that you think I’m a Nokia fanboy solely because I favor them and shoot down the trolls on Nokia related articles shows who is the one with the brains here. I use multiple devices from multiple OEM’s, like BlackBerry, HMD, Huawei, and Apple, and call it like I see it. The fact that you want to even try to argue as opposed to trying to have a civil conversation speaks volumes....you’re beyond hopeless. Don’t think I didn’t notice how you changed the subject, either. Classic troll tactic, btw. #1: I never said you are associated with papa_ji. I didn't say you are a troll even. I just aid you need to learn a few things. #2: I don't think you are a nokia fanboy solely because you like it. Nothing wrong with that; I also like Nokia! I think that because you go to almost every nokia article to tell everyone how good they are and when someone speaks against them you call them out. #3: I own Nokia devices too. And also from other manufacturers. Just saying. #4: Why did you reply to me in the first place; I wasn't even talking to you! Next time.........keep your opinions to yourself unless I reply to you first. #5: Stop liking your own comments. You actually started calling me a troll first, and on other articles, so don't act like you're innocent. You need to learn a few things yourself. I don't think you're an Apple fanboy because of your avatar. Nothing wrong with that. I think that because of the way you attack people that say anything you don't agree with about your deity. I also talk about how good BlackBerry devices are for what they do, and how good Huawei devices, but you seem to only have a problem when I do that for Nokia, which leads me to believe you are a Nokia hater. I have also called out anyone that tries to change facts around to suit their false narratives, just like I did below in this very article. I own devices from several OEM's. Just sayin'. Because I felt like it. And I'll do so again at my leisure whether you like it or not. You've done the same to me in the past, so cut the hypocrisy. Lmao! You sound like a jealous school girl because others choose to like my comments as opposed to yours. Only you and your troll brethren have the time and inclination to make several troll accounts. I have neither. Yeah sure coz people still visit this article after 4 days to like each of your comments ;) Besides, I never like my comments :) Let's just not reply to each other from now on since we both are stubborn enough to always disagree with each other.....how about it? YOU keep visiting this article to check for my responses, so why wouldn't someone that's entertained by us going back and forth do the same? :) That's pure BS. ._. You said this very thing before, and then you started responding to me. Let's see if you can actually live up to your end of the bargain this time. Enough with your "no you" responses. You broke the original deal, not me. Live up to your end on this one and there won't be a problem. You really do like changing the facts to suit your false narrative. Samsung offers phones, tablets, laptops/two-in-ones, smart watches, wireless headphones, cloud storage, and Samsung Pay. Google offers everything you mentioned Apple does, except for the smart watch and wireless headphones. Huawei offers everything you mentioned that Apple does, including their own pay services. They just offer apps through Googles Play Store. And OEM’s like Huawei and Samsung are into a bunch of other stuff besides mobile, like other electronics and network infrastructure, respectively. You really need to stop pushing false information just to make your favorite OEM look good. Dumbest article title in the world.